Our winter session is the perfect solution for those who want a short and sweet semester of clay making! This is a great chance to try out something new - have you been taking several throwing classes, try your hand at handbuilding! Have you been a little curious about mosaics or slab building? Now's the time to see if you like it without a long-term commitment. Please visit our website for a comprehensive list of classes—there's something to fit everyone's schedule! Several dates & times offered. A variety of instructors. 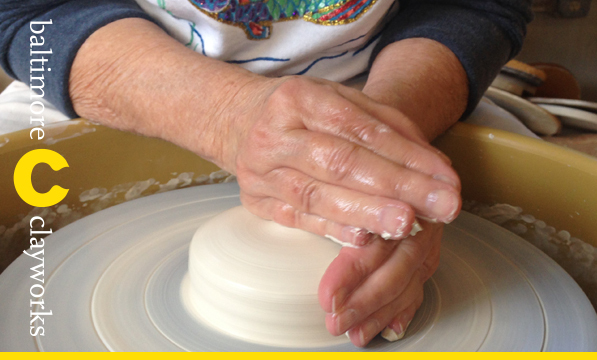 This course offers new students a 4-week introduction to the potter's wheel. This class is designed for those students who are unable to commit to a full length class but still wish to have an extended studio clay experience. Participants will experience basic methods of centering clay, forming cylinder and bowl forms, trimming and adding handles. Students will also learn how to finish their pots using standard decorating and glazing techniques. This class is for students with no prior wheel experience, all are welcome. Students will experiment with methods of creating content while learning basic building skills in this 4-week exploration of hand-building techniques. Through hands-on exploration participants will utilize soft slab construction combined with paper templates to create a foundation from which to build any project. Through technical demonstrations, historical and contemporary reference students will explore methods of translating an idea from sketchbook doodle into realized product. This class is for students with no prior clay experience, all are welcome. This 4-week course will focus on creating dynamic facial expression as a vehicle for narrative story telling. Special attention will be taken to study details of the face and how feeling + emotion can accurately be conveyed through facial expression. Participants will work on a series of head/face pieces as they gain knowledge on the muscle structure of the face with an emphasis on how features move and contort when showing particular emotions. Basic hand-building techniques such as slab, pinch, coil and solid construction may be utilized. Previous clay experience is recommended but not required for this course. Course fee includes 25 lbs. of clay and bisque firing - glaze firing fees are additional. Raku is a low-fire firing process that involves removing hot pots from the kiln and reducing the glazes in reduction bins filled with organic material. 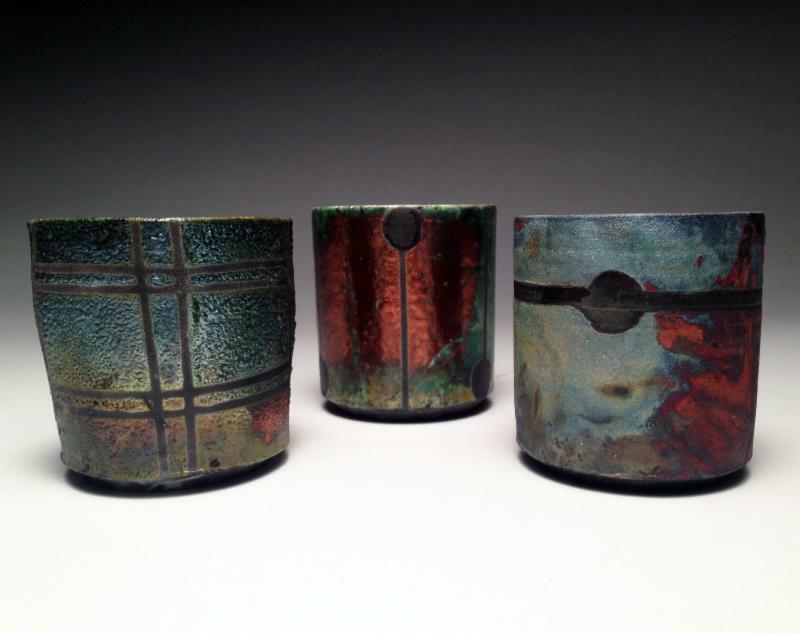 This class will focus on glazed raku surfaces and raku firing. 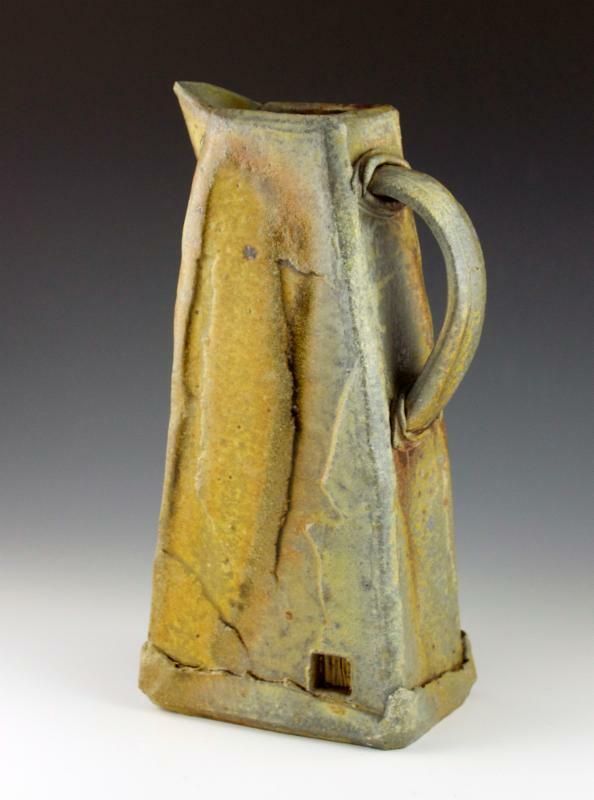 Students will experience the basics of raku glaze formulation, application and firing. This course is intended for students with working knowledge of clay—potters and hand-builders welcome. Course fee includes 25 lbs.clay and bisque firing, glaze fees will apply. In this 4-week session students will gain a general understanding of 2-D painting techniques and proper application methods for plates, chargers or bowls. Through weekly demonstrations and hands-on practice participants will learn explore a variety of brushes and mark-making techniques available using oxide washes and commercial underglaze colors. Using basic color theory and historic works as context students will gain a foundational knowledge of ^04 Majolica through ^10 reduction glaze options available in the Clayworks studios. This course is intended for students with no prior experience with the technique—hand-builders and potters welcome. Course fee includes 25 lbs. clay and bisque firing. Do you know those little scribble drawings you make across the margins of your newspaper and notebook? In this 4-week session learn how to use them as inspiration and as a starting place for both making and decorating work. 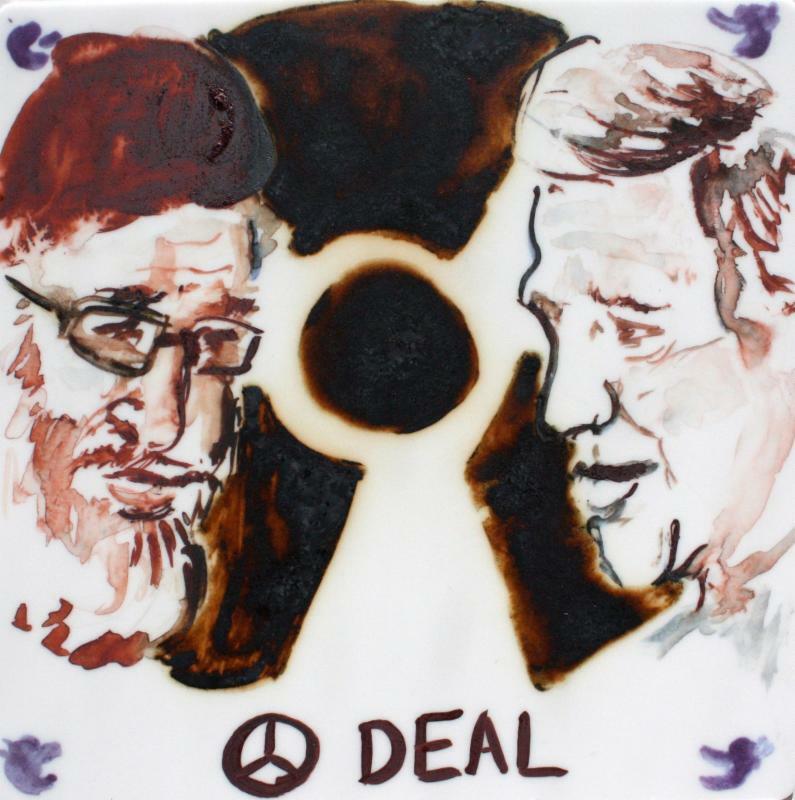 Participants will be encouraged to experiment with creating both 2 and 3 dimensional ceramic pieces which bring a casual, playful, graphic sensibility to pottery making. Previous wheel experienced is required, open to Basic II level and above.